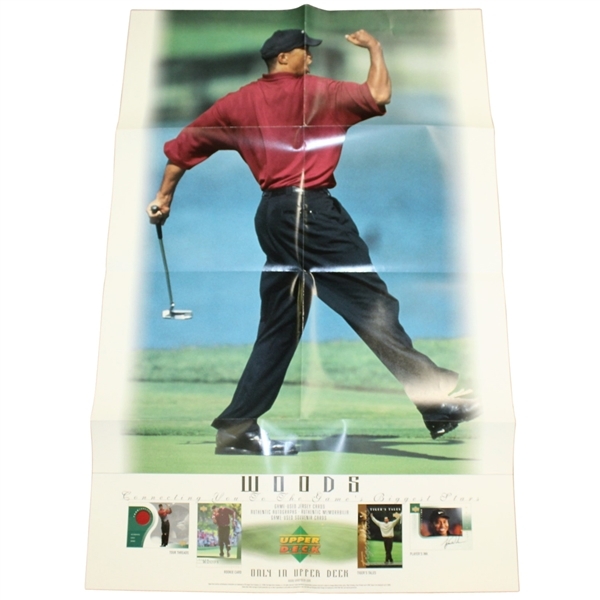 The featured poster captures one of iconic Tiger Woods fist pumps. Tiger is a very accomplished golfer and is till a fierce competitor in the game today. 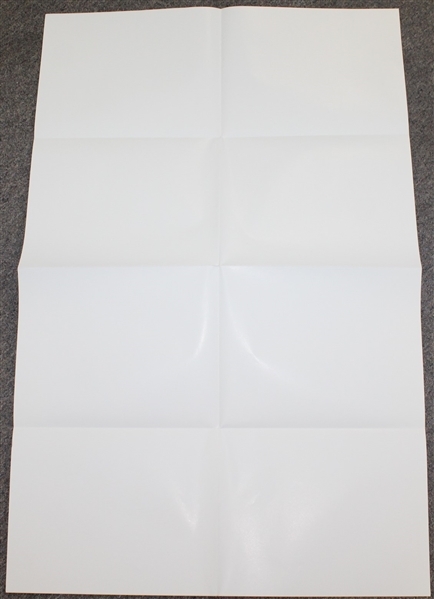 This poster was created by Upper Deck. 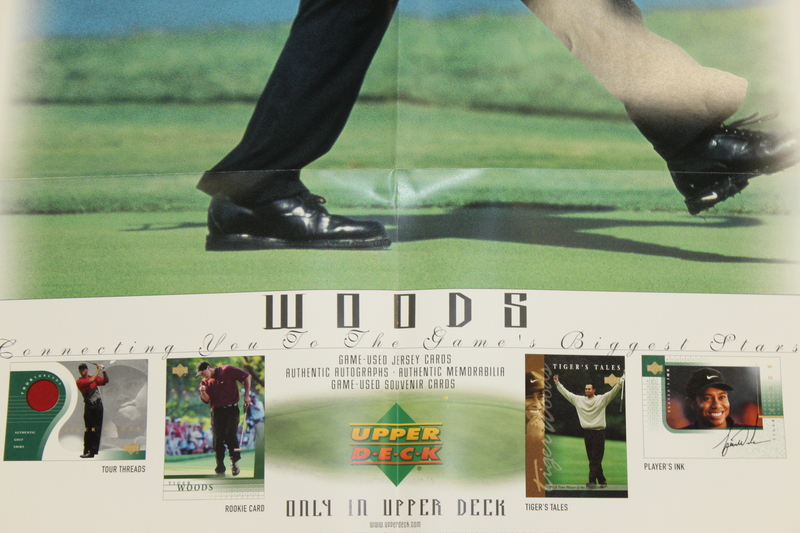 Upper Deck was established in 1988 and first produced baseball trading cards. Since then the company has expanded its reach to many other sports and even some card games. 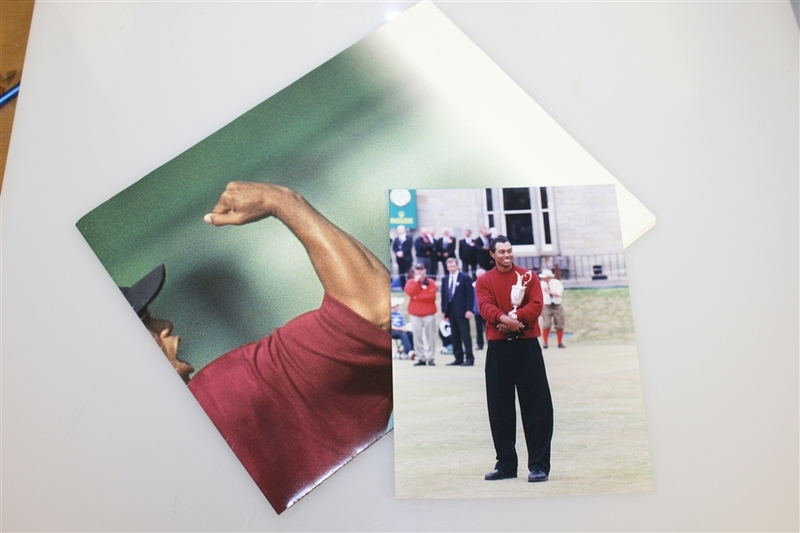 They also have exclusive agreements to produce memorabilia the most prominent sports figures in their sport. The poster is and great condition and is 37 1/2" x 24". The poster is accompanied by a smaller photograph of Woods holding the Claret Jug in 2000. The Claret jug is presented to the winner of that years Open Championship. The photograph is in great condition and is 8" x 6".